The Jewish Free Press, Calgary, June 31, 2007, p. 14. According to the Jewish model of urban planning that was implemented in the Levitical cities of refuge (Numbers 35), a town should be encircled by an area of open parkland that contains no trees. In order to enforce these regulations, the Mishnah stipulated that the citizens have the authority to uproot any tree that grows within the area that was zoned for parkland, and that property owners whose illicit trees are removed are entitled to no compensation. In an analogous scenario mentioned in the Talmud, where a person owns a tree that stands too close to a neighbour's well, and the roots threaten to damage the sides of the well, the law also states that the offending tree should be removed--but in that case, the tree's owner may claim compensation. In trying to explain the apparent contradiction between the two rulings, Rav Kahana in the Talmud argued that there is an essential distinction between the claims of specific plaintiffs and those of the general public. In the case of the tree growing on municipal parkland, since the responsibility to get rid of the tree rests equally with all the town's residents, it is unlikely that any particular citizen will take the initiative of uprooting the illicit tree and recompensing its owner. It is more probable that everyone will just wait passively for somebody else to come up with the cash. Consequently, the law would never be properly enforced as long as compensation was required as a precondition for removing the tree. For this reason, Rav Kahana explained, the legislators waived the requirement of compensation by the public, as a means to encourage people to get rid of the offending trees. To illustrate the special problems associated with such class-action litigations, the Talmud cites a popular adage: a shared pot will be neither hot nor cold. In the present context, its meaning is something like: Where the responsibility to act is distributed among numerous individuals, none of them can be counted on to carry out the action. In a discussion found elsewhere in the Talmud, the rabbis were trying to explain another apparent discrepancy between two similar regulations. One of these laws concerned the constructing of a sukkah, while the other related to the fashioning of a structure to serve as a fictitious barrier enclosing common property (eruv) in order to allow carrying on the Sabbath. In both cases, the underlying principle is that the barrier must be substantial enough to attract people's attention to its presence. And yet the law regarding the roof of the sukkah is applied in a more lenient manner than that of the eruv. In order to account for the discrepancy, Rava of Paraziqa suggested that there is a decisive difference between the two cases: A sukkah is normally built by an individual; hence, that individual can be counted on to keep an eye on its physical structure. The eruv, on the other hand, is a communal institution, shared by all the residents of the neighbourhood that it encloses. Therefore, we must take into account the possibility that each person will rely on the others to pay attention to its condition--and in the end nobody will actually bother to do so. Here too, the Talmud invoked the maxim a shared pot will be neither hot nor cold to exemplify the inertia that is produced when an obligation is distributed among multiple parties. Rabbi Pinhas Hallevi of Barcelona, the thirteenth-century author of Sefer Ha-Hinnukh, found yet another application of the shared pot principle to a Jewish religious law. Citing Maimonides, Rabbi Pinhas held that there is an explicit commandment in the Torah that forbids a priest (Kohen) to perform tasks designated for the Levites, and vice versa. Furthermore, even within those groups, each person should confine himself only the job to which he was assigned, and not aspire to vocational diversity. In this connection, Rabbi Pinhas cited a talmudic story about Rabbis Joshua ben Hananiah and Johanan ben Gudgada. When the former volunteered to assist his colleague in performing his Levitical task of guarding the Temple gates, he was urgently admonished not to do so. This was no polite brush-off, but a solemn warning that if Rabbi Joshua, who belonged to the ranks of the Levitical singers, were to occupy himself in a different form of service, then he would be committing a grave sin. 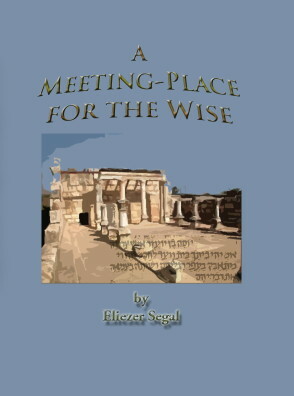 If we were to remove the shared pot analogy from its contexts in the respective talmudic discussions, the most likely interpretation we would give for it is that a conflict between differing opinions results in an inferior product, whether because of the need to accommodate the contradictory demands, or because constant disagreements will impede the performance of the work. This dynamic will surely be quite familiar to anyone who has worked in a corporation or institution that subscribed to the focus group approach to policy-making. Various parties are consulted to find out which features they want in the product or service, and all those recommendations are then compiled into a prospectus. The strategy might work adequately for a brief time, until it becomes clear that it is fundamentally lacking in coherence, and that some of its components are in fact mutually contradictory. The familiar English proverb too many cooks spoil the broth expresses a similar insight. Apparently, this is not the way our saying about the shared pot is being used in any of its appearances in the Talmud. In all of those instances, it implies that the job will not get done at all, because each person will expect somebody else to take care of it. I suspect that the rabbis' peculiar reading of the proverb stemmed from the distinctive character of talmudic culture, which was founded largely on the creative energy of dispute and debate. In their academic discourse, it was obvious to our sages that animated debate is the most effective vehicle for arriving at truth; and therefore it was inconceivable to them that a multiplicity of opinions could ever be the cause of an inferior product. To the rabbinic way of thinking, intellectual pluralism and diversity are to be encouraged, not feared. Perhaps this was the reason why they had to apply the shared pot metaphor to a different vice. Their ethical commitment to religious and moral observance led them instead to identify the undesirable qualities as inertia and inactivity. Fortunately for you, my esteemed readers and editor, I plan to continue writing my column by myself, without the help of committees or collaborators. That fact should allow me to meet my deadlines for the foreseeable future.